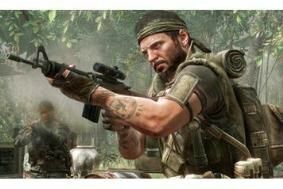 Latest Call of Duty title to get 3D treatment | What Hi-Fi? Call of Duty: Black Ops is out on Xbox 360, PS3 and PC on November 9th, and will be playable in stereoscopic 3D or standard 2D format. Gamers on Xbox 360 or PS3 will of course need a 3D TV and the relevant glasses to enjoy the 3D content, while PC gamers will need a 3D graphics processor. The 3D mode will be available in single player, multiplayer and co-operative play modes. Mark Lamia, Studio Head of Treyarch, the company involved in the 3D development, said: "Once we saw what the technology brought to the Call of Duty experience, what a great fit and how immersive it was, we knew that we had to develop it for Black Ops. Aiming down the sights of your weapons, flying in helicopters, rappelling down mountains, and moving through highly detailed environments are just some of the awesome experiences you will have in 3D with Black Ops." Call of Duty: Black Ops will be out on November 9th.